At the Virtual Reality and Healthcare Symposium in Tucson, AZ this March, Dr. Marvin Slepian of the Arizona Center for Accelerated Biomedical Innovation described the extreme pressures that the global healthcare system is under. We now have a better understanding than ever before of diseases, their drivers, pathophysiology, diagnosis, and treatment. New technologies are powering advances in drug discovery and design. And as people begin to take better care of themselves, individual awareness and accountability is driving a revolution in preventative care. However, the number of diseases affecting the population is at an all time high, and the evolution and combination of those diseases is increasingly making treatment complex and difficult to manage. In the US especially, the flow of care is “choppy” and inconsistent. Patient costs are rising, and insurance companies are struggling to adapt to changing needs. Both medical professionals and patients alike are dealing with information overload, making education and ownership daunting. Privacy is a major concern amongst patients and they expect the industry to take more responsibility for their data despite pressures around cost and ROI. Continuing research into the application of technology in medicine is critical, and now the industry is looking closely at immersive technologies as part of their tool kit. At the Virtual Reality and Healthcare Symposium we learned more about how these new technologies are advancing healthcare. An obvious and widespread application of immersive technology is in education and training. In August 2009, before Dr David Clarke conducted a 24-hour long operation to remove a brain tumor from a patient, he first completed the same procedure inside of a VR experience. By 2010 many hospitals inside of the US began using simulation technology to train doctors and surgeons in many different types of operations, especially minimally invasive laparoscopic procedures. Since then, almost all student doctors experience some kind of immersive training experience during their education. Companies are developing technology that merges real-time data and scenario training to create simulations that mimic real patient diagnoses. This allows doctors to not only practise procedures ahead of time, but also establish more accurate and objective prognoses for safer and more effective surgeries. Dr Gregory F. Welch, PhD, of UCF’s Institute for Simulation & Training and organizations such as the National Science Foundation, have been working with full scale educational training programs since 2012. Their platform uses plastic models of the human body sometimes alongside projection mapping to provide doctors with haptic feedback as they train — a practise that proven to be far more effective than other surgical training and preparation methods. 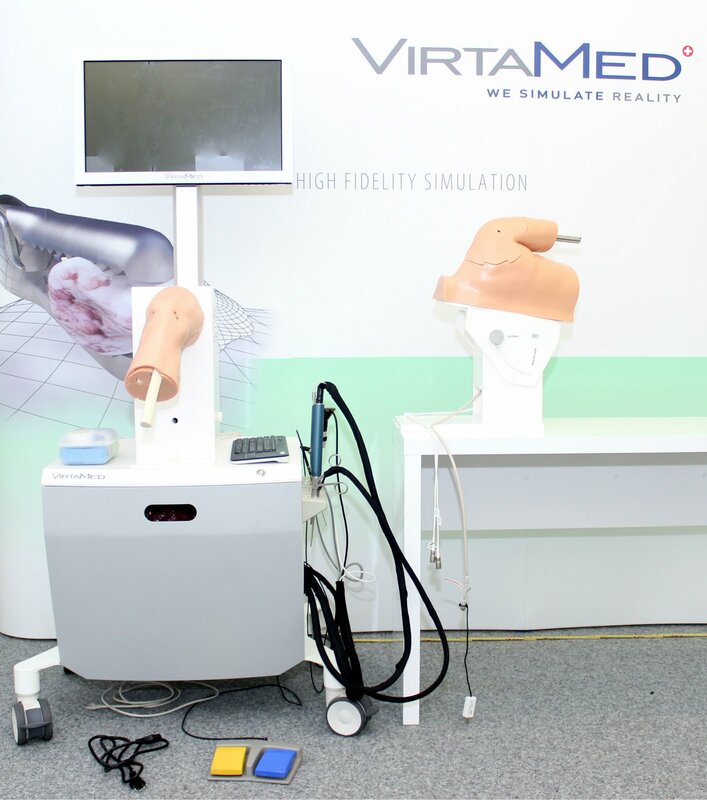 VirtaMed, a Swiss based simulation design company creates, small scale portable training units that for orthopedic, urology and gynecological training. These units require far less in set up costs, and can be transported to hospitals that perhaps don’t have the resources of larger more expensive units. One of the most meaningful applications of immersive technology in medicine is it’s application in empathy training, compassionate care, and emotional intelligence development for new doctors. The same programmes created to teach public speaking or improve social skills in children with ADHD and other behavioral conditions, are being used to help doctors improve their bedside manner and learn decision making skills under pressure in ER rooms. Lastly, immersive technologies are largely contributing to the design of drugs and vaccines. The development of 2D graphic simulations made it easier to interrogate complex data sets effectively — 3D modeling and immersive hardware allows scientists to take that one step further. VR is now being used to visualize, construct and validate new molecules and chemical elements, creating collaborative environments where scientists can work together to develop new medicines. Medicine is as much about individual care and hands-on treatments as it is about technology. Immersive technologies are increasingly paired with connected devices to diagnose patient conditions in more effective and objective ways. In 2017 Dr. Marvin Slepian began experimenting with wearable patches that could measure a range of different parameters such as movement and sweat to provide accurate and continuous feedback to both patients and doctors. 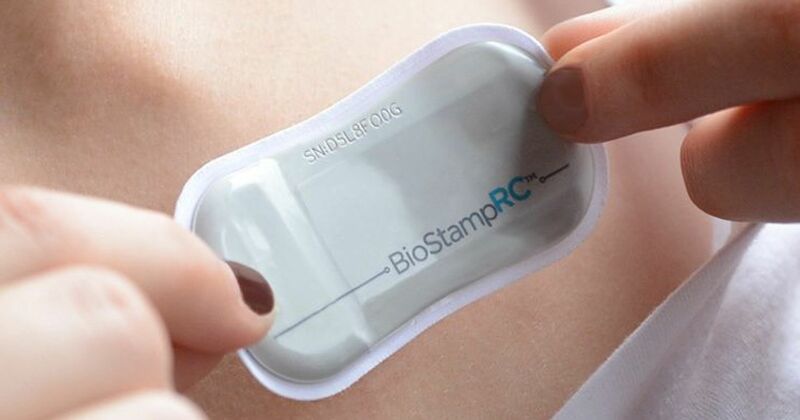 The technology, which initially started as an investigational tool for use in academia and research, recently received its first FDA approval under the name BioStamp nPoint and will now be used in more widespread medical studies and clinical trials. Stretchable and biodegradable electronics are also being used to develop new connected stent technology for cuffless and non-invasive blood pressure monitoring. As with education and training, this data is critical for the evaluation and treatment of patients however, with a vast amount of information to process, doctors and scientists are looking to immersive technology to help map and visualize exactly how the body is responding to treatment. This same technology is also being used to educate and inform patients about how their life choices are affecting their health. Some clinics are trialing narrative experiences that use real-time data to show the effects that poor diet, smoking or alcohol abuse can have on major organs. Patients can explore their own body with simulations that provide a branching narrative of their health.This provides a kind of “informed consent” where even those undergoing major surgery can see the operational approach and expected outcome of treatment first hand through virtual reality experiences. In treatment, virtual reality is emerging as an extremely effective tool in behavioral medicine. For patients suffering from ADHD, Anxiety, Depression and Addiction, immersive technologies like VR provide a safe and comforting environment to heal. Many institutions have began to see significant results in experiences ranging from exposure therapy to mediation, and in some cases this is seen as a scalable alternative to medication. However, the benefits of digital environments are not exclusive to VR. 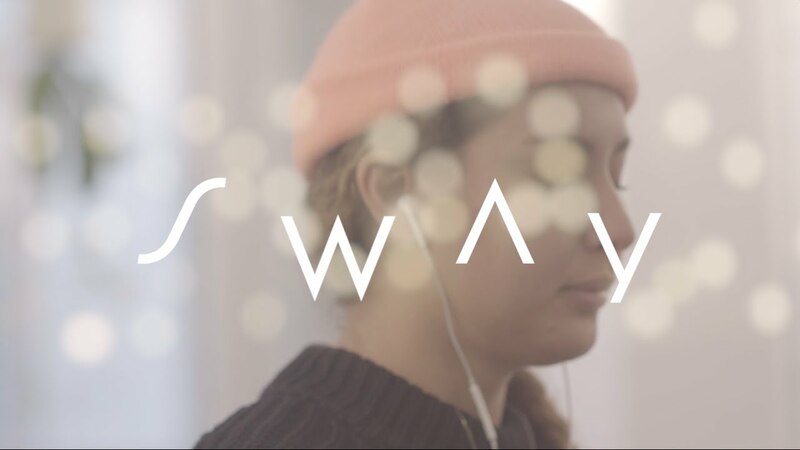 Mixed reality tools like the interactive meditation app Sway are demonstrating immersive applications even within the busiest of public spaces. The app pairs audio with smartphones’ motion sensing capabilities to calm any outside setting into a distraction-free space for practicing wellness. With VR’s ability to enhance the overall patient experience, and mixed reality’s potential to incorporate digital health into daily life experiences, immersive technology is poised to become a whole new medium for healthcare. Clinics are looking for ways to scale their diagnosis and treatment operations to address chronic care needs. Immersive technologies are an ideal way to extend “continuous care” both inside and outside the clinic, and as close to the patient as possible. Increasingly, immersive technologies can create a compelling experience that patients actually look forward to. Some hospitals now offer drop-in centers where patients can use a range of immersive and connected devices that, among other things, record their health symptoms precisely and objectively. AI helps draw out an initial diagnosis or an assessment of the patient’s progress, perhaps comparing it to relevant medical literature, and then a human doctor makes the final decision. A rapidly expanding use for immersive technology in the medical field is in rehabilitation and aftercare. Aside from behavioral treatment, VR is also being used in immersive pain management. This alternative to medication has been proven to lower pain related brain activity by up to 44% in initial trials and without any pharmacological side effects. This reveals crucial opportunities for this type of technology, from stemming the growing opioid epidemic, to reducing the need for expensive prescription medication and providing accessible aftercare for patients. The novel experience of immersion can be equally entertaining and effective using sensory and emotional stimulation, something that is especially important for an aging population. The World Health Organization estimates that over 50 million people worldwide are living with dementia, with a cost of over $1trillion annually to global healthcare providers. “Dementia Villages” being developed across Europe are embracing Reminiscence Therapy by using familiar settings that provide comfort to residents suffering from dementia, allowing them to maintain a lifestyle within these safe, closed communities. VR opens the possibility for deeper personalization and accessibility of this therapeutic technique that can prolong a patient’s capacity and comfort living within their own home. Dr. Frances A. Ayalasomayajulam, Head of Population Health for Worldwide Healthcare at HP, spoke about the ways immersive technologies can also help improve the quality of life for seniors suffering from Alzheimer's, Parkinson's and Depression. These applications can be as simple as assisting aging patients in communicating and staying more connected with family and loved ones through immersive experiences that can mimic shared environments and create an increased sense of belonging — one of the major causes of elderly depression. 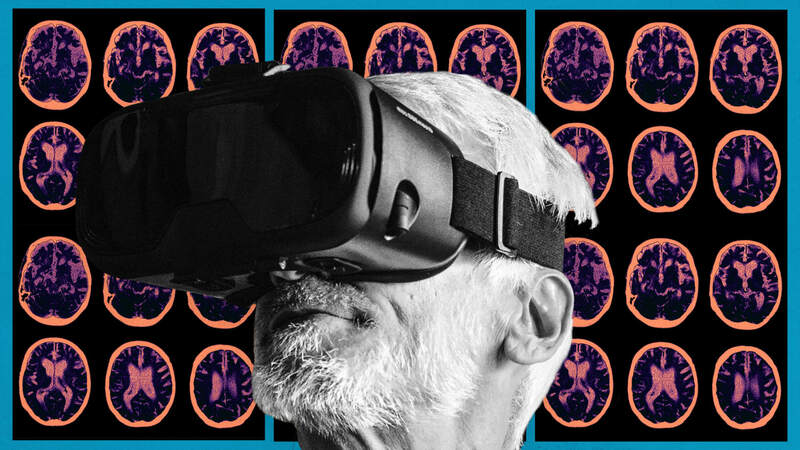 Other more advanced applications involve using VR hardware to combat the symptoms and side effects of aging by exercising perception and cognition. This could include games to improve visual memory recall, meditation experiences that reduce stress, and immersive physiotherapy to manage and improve motor skills. Immersive technology can open the door to more engaging and exciting experiences for aging populations previously discouraged by physical limitations. The healthcare industry has only begun to explore how immersive technology can improve quality of care. Both VR and AR have shown early promise in creating entirely new digital healthcare environments that facilitate medical training, education and treatment through simulation. But practical medicine requires an individualized approach -- a human touch that technology alone can’t provide. VR and AR can be woven into the experience to give diagnoses with more accuracy, provide continuous feedback, extend care beyond the clinic, and enhance the overall relationship between the patient and provider. Market education will be key to widespread adoption. The upfront cost of equipment and ongoing operational support are big investments for hospitals and clinics. Even in organizations that can afford it, a lack of training, education, and awareness can leave equipment under-utilized. Data privacy and security is another critical concern; patients are becoming increasingly aware of how their data is being handled, and the rise in individual preventive care means an increasing number of people are looking for seamless access to their own healthcare records. Creating immersive healthcare experiences requires a sense of social responsibility. The transformative power of tools like VR and AR is that they can help us understand the world and each other in new ways. In medical settings that means amplifying the natural human inclination for empathy, compassion, and care -- allowing people to reconnect with what it means to be human in the industry that can benefit from it the most.